No. 6: Pole Dancing lesson. Oh yes! Now this one was fun, although I write this today lacking the ability to walk in a straight line or move my arms. Totally worth it. Mr friend Ginny and I met a wonderful lady from the Wiltshire company Pole Krazee called Gina. I found out how many ways one can lose one’s dignity whilst hanging upside down on a pole. Turns out there are quite a few. The health benefits of pole dancing are apparently limitless, although it’s best not to ask me for them on the morning after my first session. 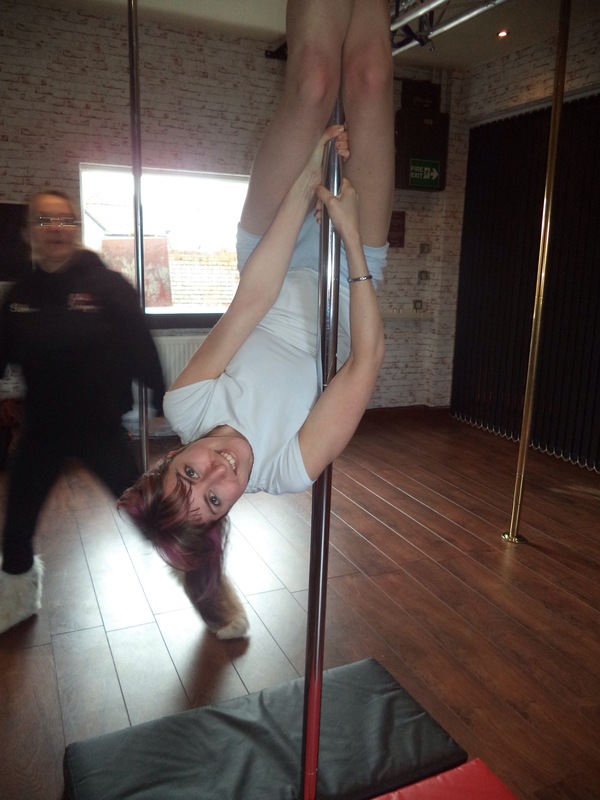 I want to thank Gina and Ginny for being sporting enough to help me with this, and for giving me a fantastic taster lesson to get a great idea of how pole works. I’d thoroughly recommend it. And yes, I’m glad I wore two pairs of shorts. Dignity loss #74 narrowly averted.